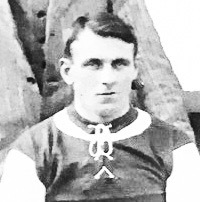 Earning himself a reputation of being an extremely useful player with Rock Ferry on the Wirral, Liverpool signed Green in 1901, going on to score once in seven league games. Green them moved to Swindon Town, but after just one season returned north to link up with Stockport County. After five years with County, Middlesbrough paid a transfer fee of £300 for his services where he netted nine goals in 37 league appearances. He was transferred to Queen’s Park Rangers in April 1906 and became their joint top scorer. He returned to Stockport County for a second spell with them in 1907 and hit 12 goals in 61 league outings. 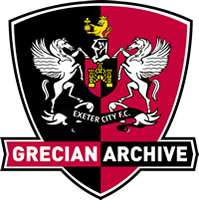 Moving to Exeter City for the start of the 1909-10 season, he made his debut in the opening game of the Southern League campaign against West Ham United at Upton Park. Although he made a good impression throughout the season, he left after 12 months and signed for Preston North End. After Preston he also played for St Helens Town, Tranmere Rovers in 1913, Rossendale United; Southport Vulcan, South Liverpool and in 1919 Southport.